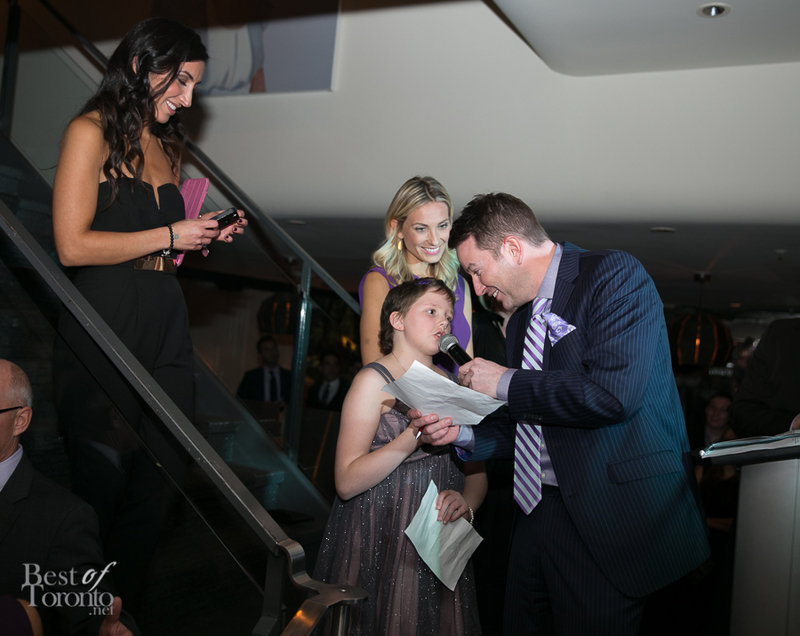 It was another fantastic fundraising gala at the Drake Hotel dubbed “The Purple Party” in support of Childhood Cancer Canada. It’s hard to explain but the vibe was great at the Drake Hotel – the open rooftop patio decked out with plenty of heat warmers, complete with an open rooftop bar. Really, really good eats were provided by the Drake Hotel and Barberian’s Steakhouse, complementary hairstyling at the event was provided by Civello Salon & Spa. And it was all for an amazing cause raising funds for kids with cancer and also providing care and support for those kids in need as well as their families. Congrats on raising $125,000 at this year’s event. It’s inspiring to see Jaydn whom I’ve finally met at this year’s Rally for Kids with Cancer event. Guests included Yannick Bisson, Evanka Osmak, Mad Dog, Gabrielle Miller, Tara Spencer-Nairn and Toronto Argos players Jonathan Hood and Matt Black. Also check out our photos from The Purple Party 2012.